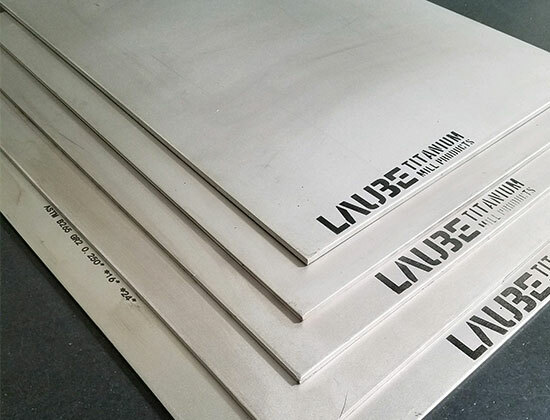 We offer domestic and imported titanium sheets and plates in various grades and sizes. The sizes range from .012″ – 3.00″ in thickness, 36″ – 48″ in width, and between 96″-120″ in length. We also provide custom-cut sizes for special projects and easy shipping. Please use our Weight Calculator to determine the total and weight per piece of your order, based on your custom dimensions. ASTM grades 1 to 4 are commercially pure (unalloyed). They vary in tensile strength as a function of oxygen content. In addition to the ASTM specifications, titanium alloys are also produced to meet aerospace and military specifications (SAE-AMS, MIL-T), ISO standards, and country-specific specifications, as well as proprietary end-user specifications for aerospace, military, medical, and industrial applications.